According to the predictions of an early version of the annual energy outlook released by the U.S. Energy Information Administration, there will be slowdown in the growth of energy use over the next 20 years, as well as improved energy efficiency. The report notes that carbon-intensive, coal-fired electricity production will experience a steady decline, ensuring energy-related CO2 emissions will not exceed the high levels of 2005 at any point before 2035. The report also notes that emissions per capita will fall an average of 1% per year until 2035, as the new federal standards, higher energy prices, and state renewable energy mandates restrict growth and demand. 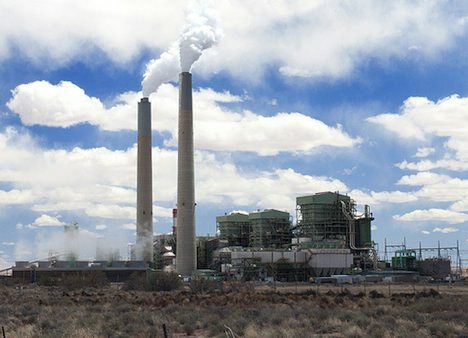 Coal-fired power plants will largely be overpowered and replaced with gas-fired plants, already slated to produce 13% more power in 2012 than last year. Electricity generation from renewable sources is expected to grow to 16% by 2035, up from 10% in 2010. The Obama Administration has also set a target under the United Nations for the United States to reduce greenhouse gas emissions by 17% below levels from 2005 by 2030. While Congress has been unable to pass climate change and energy legislation that would help to ensure this target is met, the administration hopes federal regulations and statewide emission-reduction programs will help achieve these cuts (see California Finally Green-lights New Emissions Cap-And-Trade System). The report also notes that the United States will continue to import oil as it becomes a net exporter of natural gas over the next 25 years. The final report from the Energy Information Administration is due to be published in April of this year, and the EIA cautions that the results may change between now and then. Either way, prospects are looking up a little, and some of the numbers are at least moving in a right direction. Do you think U.S. Congress should work to pass more legislation aimed at reducing emissions and increasing energy efficiency, or will statewide energy programs be enough to make the necessary changes and meet the required numbers?